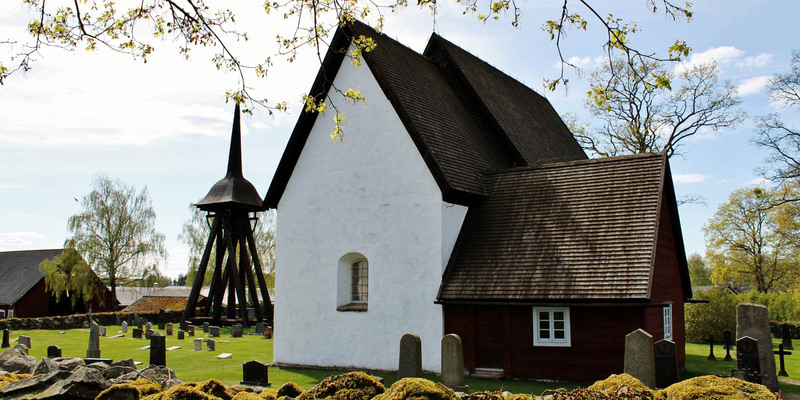 Jäts Gamla Kyrka was built around 1220 and is largely preserved in its original form. 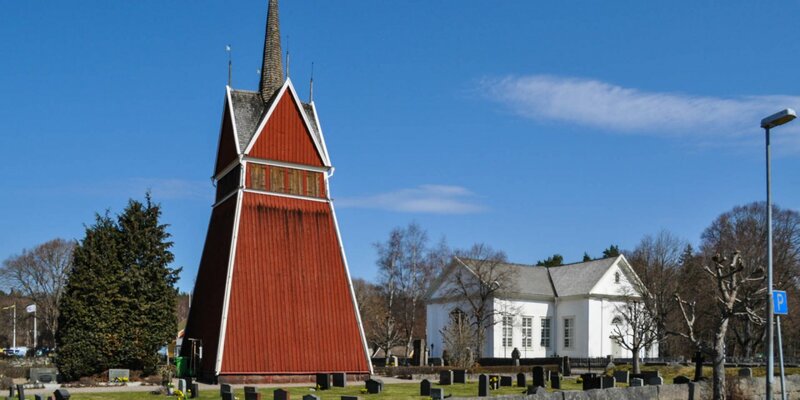 The church is located near the lake Åsnen in the small village Jät, about 20 kilometers north of Tingsryd. The bricked and plastered main building of the small church, consisting of a nave and a slightly smaller choir, is a good example of a Romanesque church from the early Middle Ages. 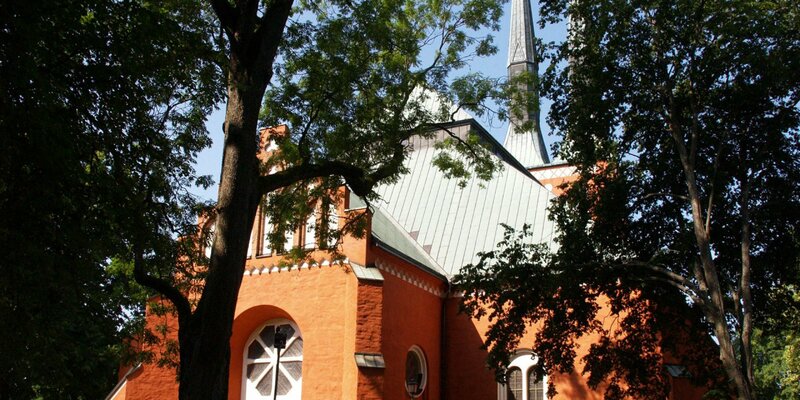 Apart from an enlargement of the windows, the masonry of Jäts Gamla Kyrka has not changed since the construction of the church. Studies of the old roof beams have revealed, that the church has still its original roof from 1220. The wooden extensions are much younger. The vestibule on the west side originates from the period around 1680, while the sacristy located on the north side was added in 1733. The wooden belfry most probably dates back to the 17th century and got its current appearance through an restoration in 1929. The interior is decorated with wall and ceiling paintings. The ceiling of the nave has a representation of the Last Judgment created by the church painter Johan Christian Zschotzscher in 1749. The painting of the galleries with the images of Jesus and the apostles are also works of Zschotzscher. The wall paintings in the sacristy were done by Carl Ruth in 1735, while the walls of the vestibule were painted by Per Olsson in 1758. 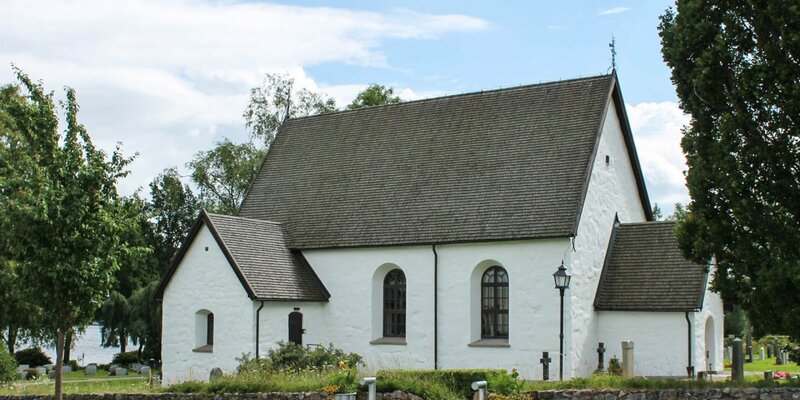 The old church was no longer used for several decades except for occasional funeral service, after a new church in Jät was built in 1910. The old baptismal font and pulpit moved into the new church and some older furnishings were taken to Smålands Museum in Växjö. The oldest items in the church are the stone altar from the early days of the church, the altar crucifix from the late Middle Ages and pews from the 17th century.